As everyone knows there can be a huge amount of data and information that can be stored on a hard disk, but what happens if there is a problem with it and the information cannot be accessed? Obviously, this is not a pleasant situation to be in and the majority of people have the notion that if data on their hard disk is inaccessible they will not be able to get to it ever again. This is particularly the case, if the hard disk has been damaged in some way or the user believes that it has broken down and does not know how to restore it to working order. In fact users are advised not to tamper with a hard disk due to the fact that they can easily become damaged with particles of dust from the atmosphere. 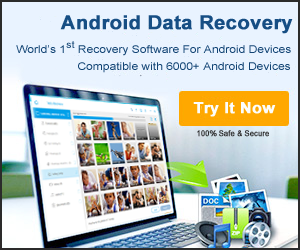 However, there are methods that can be used to ensure hard disk information retrieval with data recovery. Some times the problem can be down to the hardware being in need of repair, this can often happen to the PCB (printed circuit board) as these can break and need to be repaired by an expert. In order to do this a data recovery expert will open up the hard disk and will normally remove a certain microchip from the original machine before placing it into a new PCB and putting this into a new hard disk. Performing this procedure, can in some cases enable the data recovery expert to recover the missing information and return the system back to normal state once again. If the problem is not with the PCB, the data loss could be down to the hard disk platters which are used to store the data and such information on them in magnetic form. If these become dirty or damaged there is the risk that the data loss will be permanent. So, it is crucial that any removal of these platters is carried out in a suitable atmosphere. Doing so in a ‘normal’ environment could easily contaminate them and leave them virtually useless so it is important that they are handled correctly. When they are removed from the original hard disk they can then be put into a healthy machine from which the information can then be recovered quite safely. Another area that can cause problems in the hard disk is the read / write head which is used to read data and write new data. If this is damaged or corrupted, it can cause the user massive problems which need to be solved. Usually replacing the read / write head is all that is needed to get the hard disk up and running again, but like the removal of the platters it is vital that the read / write head is replaced in a protected atmosphere to avoid any potential contamination of the hard disk.